The United Nations Office for the Coordination of Humanitarian Affairs [OCHA] in the Occupied Palestinian Territories, published a report for the period of January 15 -28, 2019, finding an increase in attacks by Israeli settlers against Palestinian civilians. During the two-week period covered by the report, 3 Palestinians were shot and killed by Israeli forces, in 3 separate incidents in the West Bank, one of whom was a 16 year old boy. Another Palestinian man, whose body is being withheld by Israeli forces, was shot by Israeli forces, after allegedly attempting to stab an Israeli soldier. Armed Israeli settlers shot a Palestinian man in the back, killing him, in addition to injuring 9 more, when the illegal colonists stormed a village near Ramallah, central West Bank. An additional 6 more Palestinians were injured when Israeli forces arrived on the scene. Four more settler attacks were documented this past week alone, 2 incidents of vandalizing olive trees, and 2 incidents of settlers throwing stones at Palestinians, injuring three people, including a boy. 115 Palestinians (including 10 children) were injured by Israeli forces, during approximately 150 “search and arrest operations” carried out by Israeli forces. Israeli forces attacked the inmates in the Israeli Ofer Prison in Ramallah, resulting in the injury of 150 Palestinian prisoners, and 6 members of the Israeli forces. In the reporting period, in the Gaza Strip, Israeli forces killed one Palestinian civilian and wounded 703 during the ‘Great march of Return’ demonstrations. 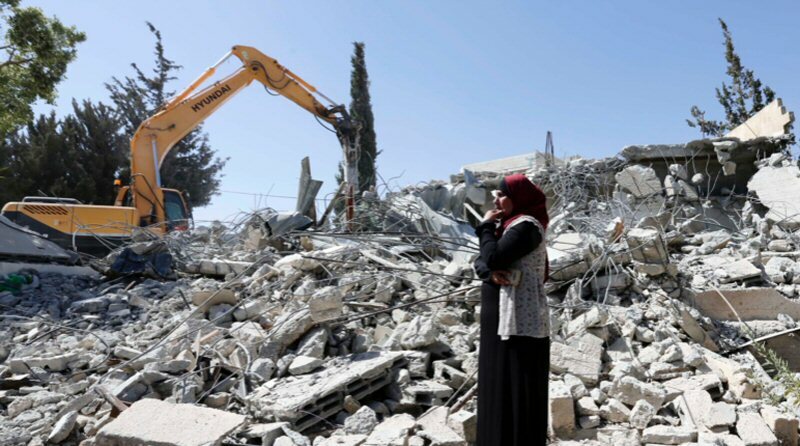 Israeli forces also carried out the demolition of 20 buildings belonging to Palestinians, 19 of which were due to the lack of permit, while the 20th was the home of Palestinian prisoner, accused of stabbing an Israeli settler. During the reporting period, the Rafah Crossing between Egypt and Gaza, Egyptian authorities allowed 1485 people to enter Gaza, however it remained closed for exit out of the besieged Gaza Strip.